Extra-durable, corrosion-resistant nickel manganese alloy steel chains are reversible and made of thick, square links for excellent grip and reliable wear. Cam-style side chains make adjusting a snap. Lowest Prices for the best tire chains from Pewag. 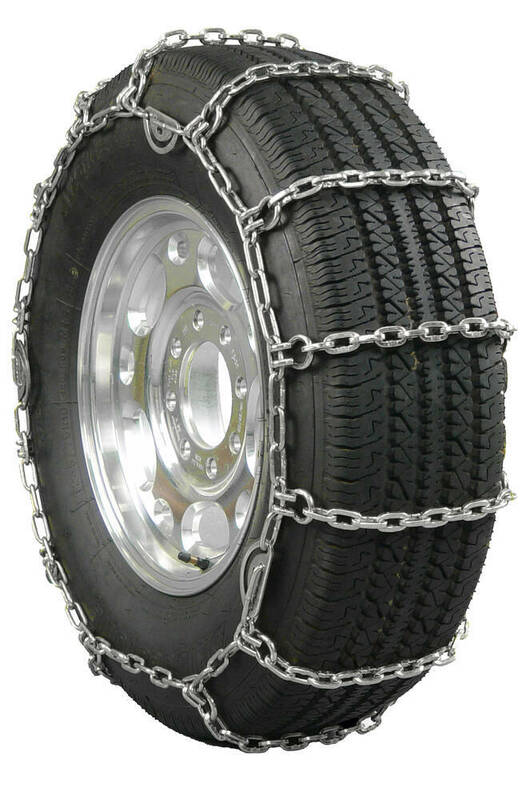 Pewag All Square Snow Tire Chains with Cam Tighteners - Square Link - Reversible - 1 Pair part number PWE2229SC can be ordered online at etrailer.com or call 800-298-8924 for expert service.